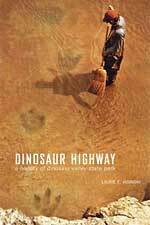 Laurie E. Jasinski's book, Dinosaur Highway: A History of Dinosaur Valley State Park (TCU Press, 2008), presents a colorful story of the Paluxy River's dinosaur tracks in the Northern Hill Country of Texas and their significance to dinosaur enthusiasts around the world. 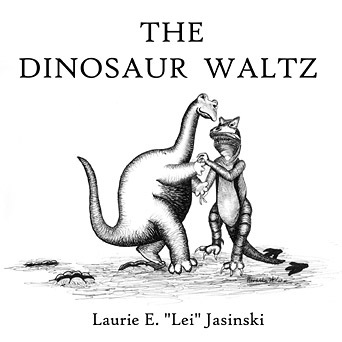 The book also contains a whimsical ballad--"The Dinosaur Waltz"--that celebrates the region's famous tracks through imaginative verse. 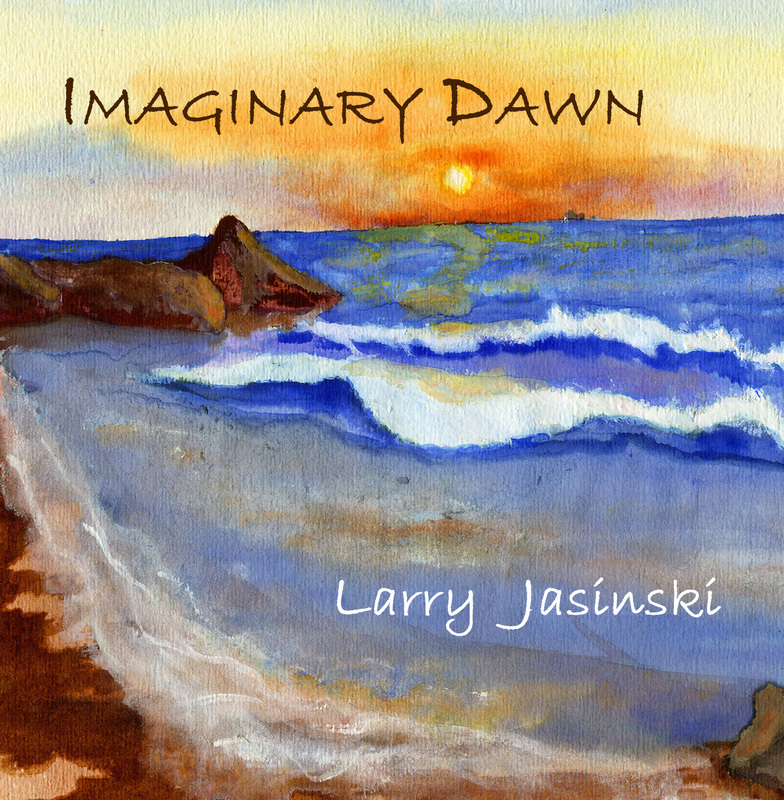 Now this ballad comes to life in song on a CD single produced by Red Nickel Records and recorded by the members of LJ, featuring the author and her brother Larry, along with drummer Jon Hahn. Glen Rose artist Novella Wilson's inspired cover art was created for the song. This CD is a fine companion to Dinosaur Highway or stands alone as a fun song for the young and young at heart. Individual orders: $3.00 per CD plus $1.00 shipping and handling ( U.S. and Canada). For each additional CD add .25 each for shipping and handling. For orders over 15 CDs please email for rates. Please email for overseas rates. Email: lei@rednickelrecords.com for ordering and information. If you are interested in selling "The Dinosaur Waltz" CDs CLICK HERE! READ more about Dinosaur Highway and ORDER your copy. from the members of LJ! 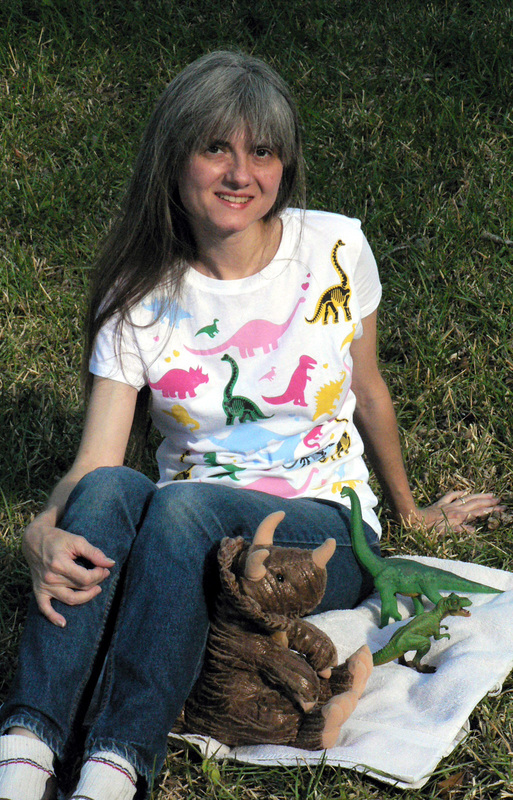 Dancing Dinosaurs Cover Art and the Artist.